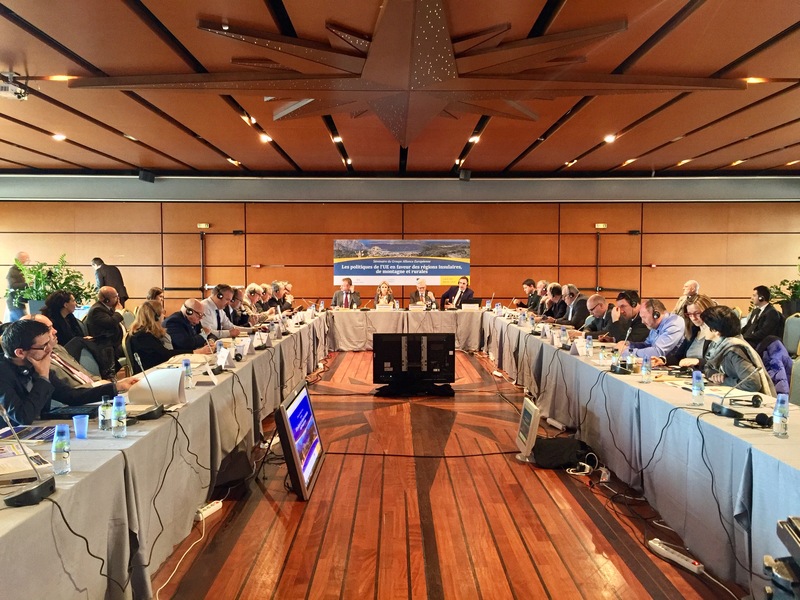 The CPMR has taken part in a seminar in Corsica looking at how EU policy can improve support for island, mountain and rural areas. Organised by the European Alliance Group of the Committee of the Regions, the seminar ‘EU policies in favour of island, mountain and rural regions’, which took place in Corsica’s capital city Aiacciu on 3 April, aimed to provide a better understanding of the constraints faced by island, mountain and rural areas. Regarding the EU objective to ensure territorial, economic and social cohesion and balanced development across all EU regions, the treaties give special attention to territories with structural geographic and demographic handicaps, such as island, mountain and rural areas. However, regional disparities are increasing and current EU support mechanisms do not fully consider their specificities. The meeting was chaired by Stanisław Szwabski, President of the European Alliance Group and hosted by Gilles Simeoni, President of the Executive Council of Corsica and the CPMR Islands Commission, and Marie-Antoinette Maupertuis, Executive Councillor of Corsica in charge of European affairs, both of whom are members of the European Alliance Group of the Committee of the Regions. Participants at the seminar agreed ‘The Aiacciu declaration’, a set of recommendations for future EU policies to improve cohesion in island, mountain and rural areas. 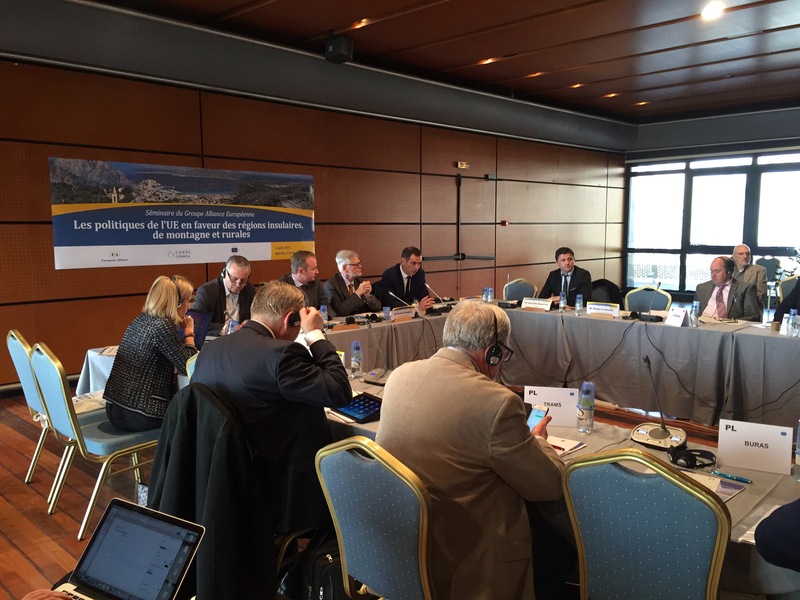 Speaking at the seminar, Patrick Anvroin, CPMR director of transport, expressed the CPMR’s views of on cohesion and transport policies, as adopted by the CPMR Islands Commission and the CPMR Political Bureau on 9-10 March in Gozo, Malta. The seminar also offered the opportunity to make participants aware of the issues affecting Corsica as an island with mountain areas. Read “The Aiacciu declaration”: ‘EU policies for the island, mountain and rural areas’, adopted by participants at the meeting.